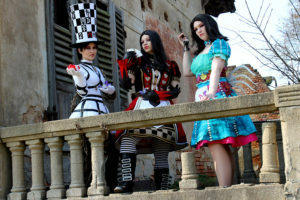 * Send ONLY ONE image of yourself dressed as Alice – preferably in her “classic” blue and white dress. * Image should capture your entire costume from black hair to boot heels. * Image should be no larger than 2MB. Save in JPG, GIF or PNG format. * Include name, age, country of origin, contact info and brief intro of yourself. * Must be able to travel to Shanghai, China during June 2013 for the video shoot (have a passport, be of legal age to travel, etc). * Must be English speaking (able to read lines for the video). * Do not send other requests, applications for other work (art, sound, video, etc) or anything unrelated to this contest! 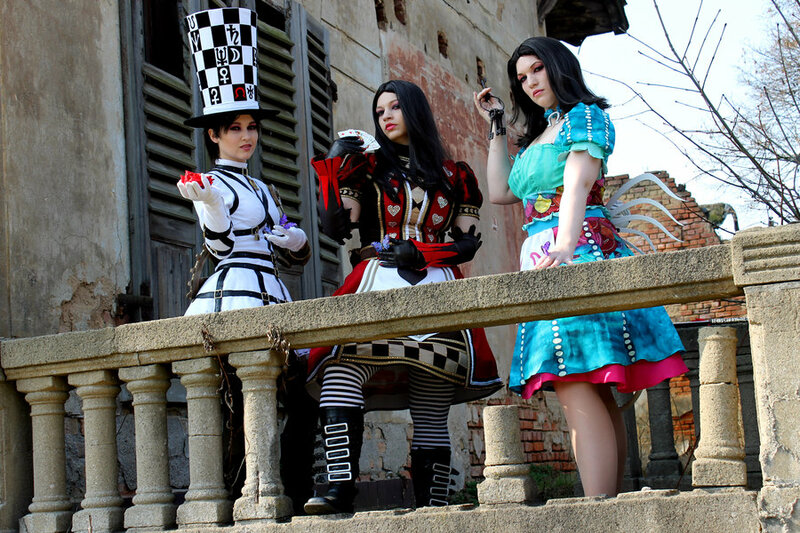 If you aren’t an actual Alice cos-player submitting for this contest, then limit your interaction with it to the comments on this post! * Don’t post your submission images to my Facebook page or send them to me via Facebook messaging. * Don’t send suggestions for people you think should win or be in the contest. Failure to abide by these guidelines will result in disqualification. NOTE: This contest DOES NOT mean the “Otherlands” project will definitely happen – we’re still working on deal-making which could stall or fall through altogether.